As we continue our study of the Gospel of Luke we now come to a section of Scripture (Luke 21:5-38) where Jesus teaches about the destruction of the Temple in 70 A.D. and of the coming end of the world. In order to best understand this section, we will divide it into four sermons with the title: “Shadow to Substance”. The reason is that the destruction of the Temple in 70 A.D. offers us clues about the coming end of the world. Today’s message concerns verses 5-6 and the Temple. The Old Temple was merely a shadow of something greater. The Court of the Gentiles. The court of the Gentiles was the farthest point in the temple complex a non-Jew could enter. It was also called the Common Court. There were signs at the innermost part of this court written in Greek and Latin warning Gentiles that they may not go any farther on penalty of death. There was also a barrier blocking the way. It was in this court that Jesus’ drove out the money-changers (Luke 19:45-46). The Court of Women. The court of Women was farther in than the Common Court, but was the farthest point in the temple complex women could enter. Like the court of Gentiles there was a barrier blocking the way to prevent women from going farther. The Court of Israel and Priests. There were two other courts. The court of Israel was for Jewish laymen and was relatively small. The court of Priests was only for Jewish Priests and only through this court could one enter the Holy Place and Most Holy Place. The Holy Place. Hebrews 9:2 tells us that “in the first room, which is called the holy place, were the lampstand, the table, and the presentation loaves.” The lampstand (Menorah) was the only source of light in the Holy Place. The table contained the presentation loaves (showbread, bread of the presence). The bread could only be eaten in the Holy Place by the priests. The Most Holy. Hebrews 9:3-5 gives us a glimpse into this section. 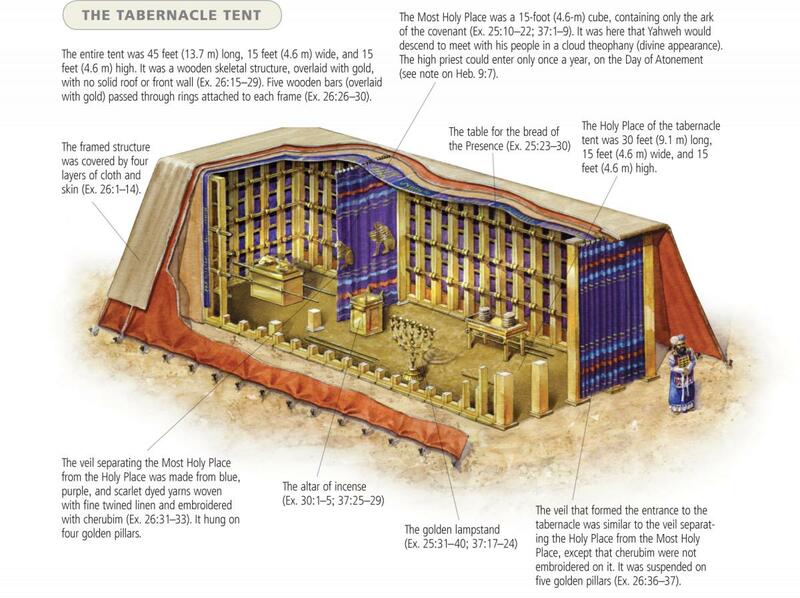 “Behind the second curtain, the tabernacle was called the most holy place. 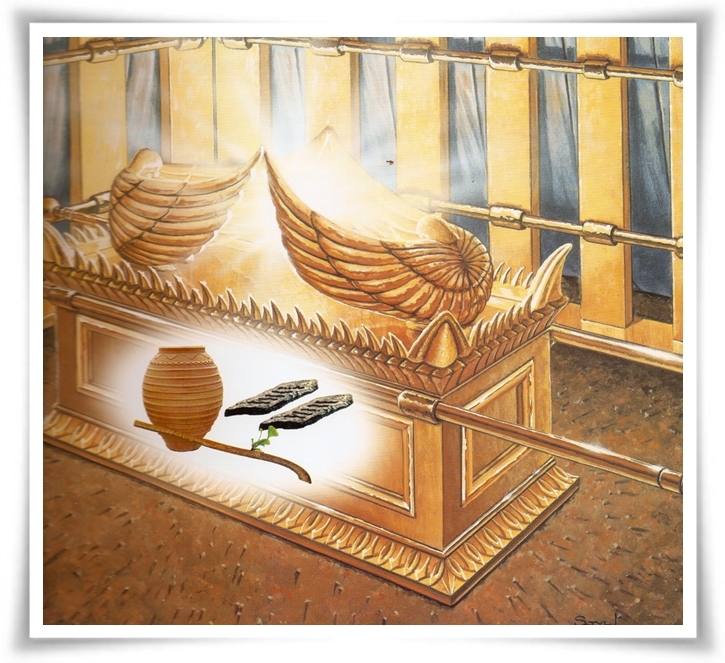 It contained the gold altar of incense and the ark of the covenant, covered with gold on all sides, in which there was a gold jar containing the manna, Aaron’s staff that budded, and the tablets of the covenant. The cherubim of glory were above it overshadowing the mercy seat.” This was the holiest place in the temple and only one man could enter on one day. Every Yom Kippur—the Day of Atonement—the High Priest would enter and sprinkle the blood of an animal on the mercy seat in order to atone for his sins and the sins of the nation of Israel. There was a huge, heavy veil that separated the Most Holy Place because God said He would appear in this room (Lev. 16:2). One New Man in Christ. In the old Temple there was the Court of Gentiles and the Court of Women with barriers in place to keep people from going forward. With Jesus we notice a change. Ephesians 2:13-14 says, “But now in Christ Jesus you who once were far off have been brought near by the blood of Christ. For he himself is our peace, who has made us both one and has broken down in his flesh the dividing wall of hostility.” In Galatians 3:28, Paul wrote: “There is neither Jew nor Greek, there is neither slave nor free, there is no male and female, for you are all one in Christ Jesus.” The dividing walls are removed because of Jesus Christ. Kingdom of Priests. In the old Temple there was a Holy Place where only priests could enter and a Most Holy Place where only the High Priest could go. Through faith and repentance in Jesus, Christians are called “a royal priesthood” (1 Peter 2:9). This is important for two main reasons: 1) We now have direct access to God and 2) We all do the priestly work of God. Therefore, “let us with confidence draw near to the throne of grace, that we may receive mercy and find grace to help in time of need” (Heb 4:16). In Christ, all Christians are able to enter into God’s presence. The veil has been taken down! (Matt 27:51). The Relational One. In the old Temple there was a Holy Place that contained a lampstand, a table, and bread. This reveals to us that God is relational. These shadows in the Temple reflect the substance of Christ. Jesus is the lampstand. He said: “I am the light of the world. Whoever follows me will not walk in darkness, but will have the light of life” (John 8:12). Jesus is the bread. He said: “I am the bread of life; whoever comes to me shall not hunger, and whoever believes in me shall never thirst” (John 6:35). We can all have a personal relationship with Christ. The Redemptive One. In the old Temple there was a Most Holy Place that contained an altar and a mercy seat that was sprinkled with sacrificial blood. This reveals to us that God is redemptive. Jesus “entered once for all into the holy places, not by means of the blood of goats and calves but by means of His own blood, thus securing eternal redemption” (Heb 9:12). Peter wrote: “you were ransomed…with the precious blood of Christ, like that of a lamb without blemish or spot” (1 Peter 1:18-19). We can all have our sins forgiven and be made holy through Christ. Manna was bread that fell from heaven to satisfy the needs of God’s people (Exodus 16). Jesus said that He is the true bread from heaven (John 6). Aaron’s staff budded as a demonstration that Moses was God’s chosen representative. Jesus is God’s chosen (Luke 9). The Tablets contained the Ten Commandments that were given to Moses on the mountain. Jesus is the fulfillment of the Law (Matthew 5:17).